If you’re looking for a giveaway for the people at sporting events or outdoor music festivals you can’t beat our disposable rain ponchos. 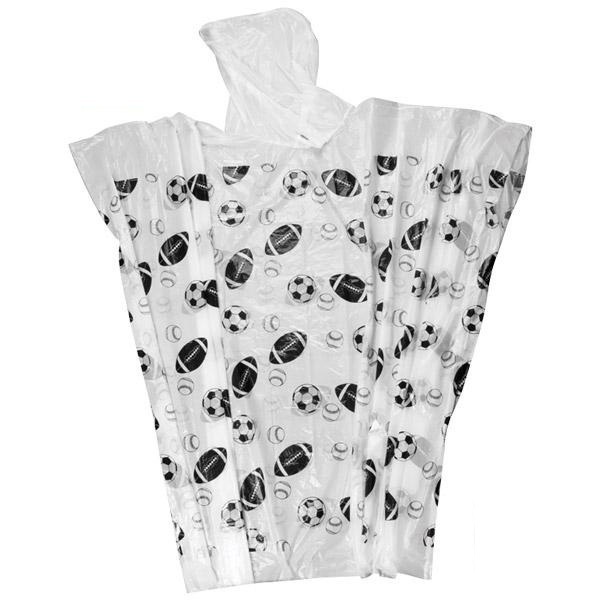 We can print your logo, brand or message on them so whether people are in the stands and on the field, they’ll have you to thank for giving them these emergency rain ponchos. Great for a last minute downpour or windstorm, our personalised waterproof ponchos rank as an all-season winner in the world of promotional products. 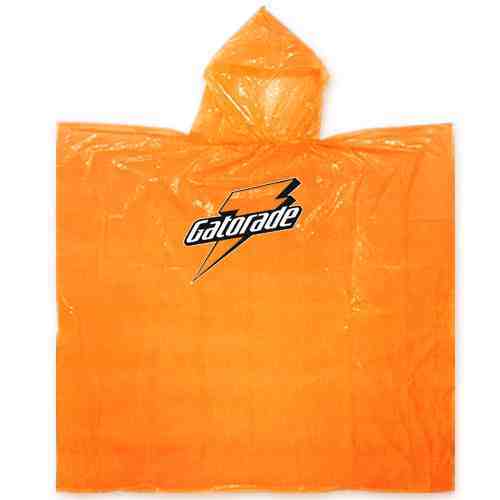 Our single use (disposable) Promotional Rain Ponchos are great for sporting events, outdoor festivals, recreational activities or to simply take out for the day. Available in a range of fun colours - Clear, White, Red, Blue, Yellow, Orange, Green, Black. Minimum order quantities apply. Minimum 1000 units. Pantone matched ponchos available on quantities over 5000 units. 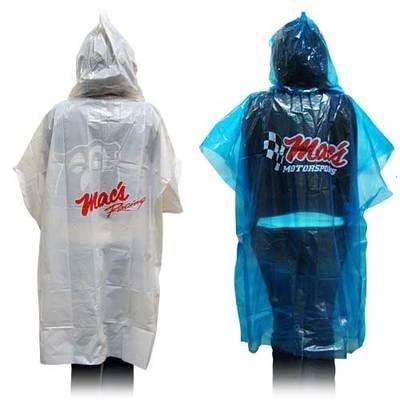 Ponchos can be printed with your custom logo or message to promote your business or event. Up to 4 colours on the front and/or back of the poncho. Logo size 30cm x 30cm. Choice of standard or drawstring hood. Adult size 50" wide x 80" length. Child size 40" wide x 60" length. Delivery lead times vary depending on the order quantity and time of year. 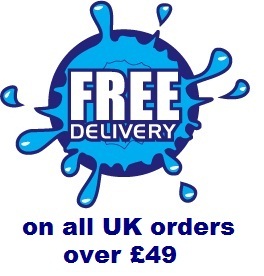 The delivery time for up to 2000 ponchos is approx. 4 weeks from approval of artwork/order confirmation. 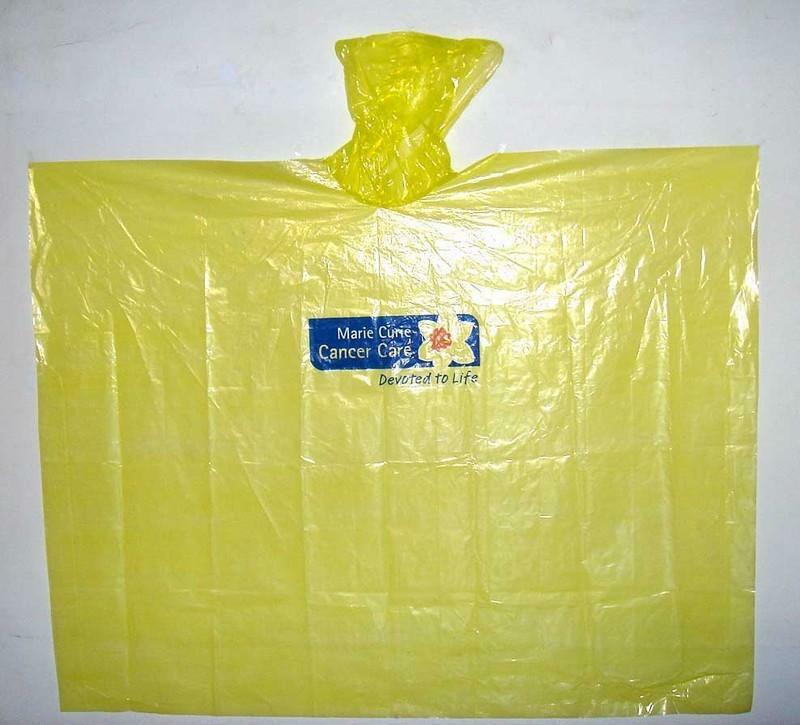 On quantities over 2000 ponchos, the lead time is up to 12 weeks. Please contact us to obtain an accurate lead time and quotation prior to placing your order.